Xiaomi has announced that it plans to launch a Desh Ka Smartphone (The Country’s smartphone), on November 30th in India. The Tweet, hints at a phone with good battery life. We have seen some reports claim that the device could be the Redmi Note 5, which allegedly has an 18:9 aspect ratio. While the Redmi Note 4 has been Xiaomi’s best seller, and a successor for it makes sense. The above image nullifies that rumour. So we are going to say that a new budget phonme is the more likely possibility. One of the most complained things, when it comes to smartPhones is poor battery life. And it is no surprise that Xiaomi promises to solve this, most of the company's phones have big batteries, accompanied by battery optimizations in MIUI. The other most important factor for phones, at least in India, is the price tag. Another ad for the phone, hints at good performance with multitasking. So, good battery life, performance and an affordable price? 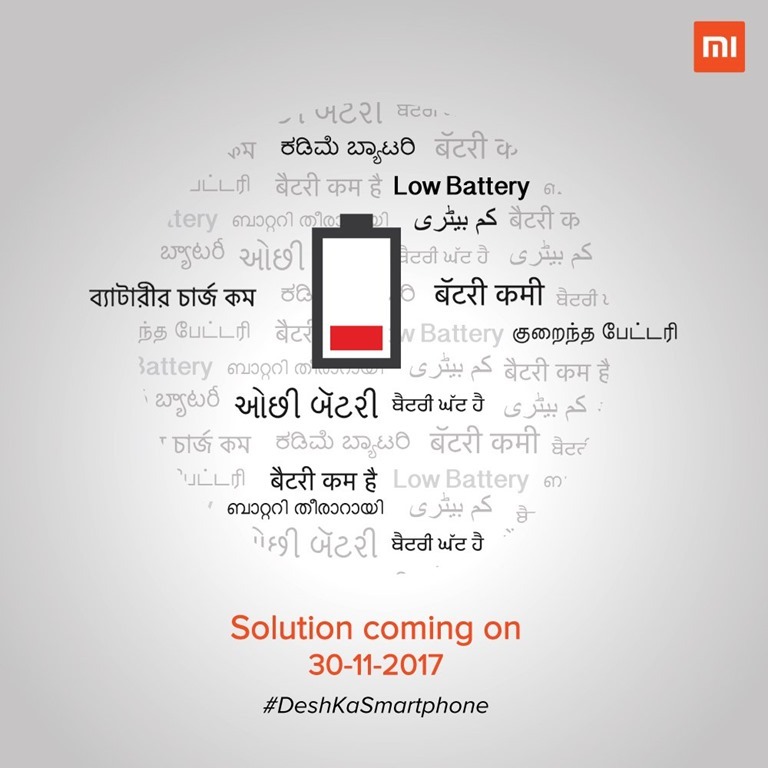 What could the Desh Ka Smartphone possibly be? A Xiaomi device which is exclusive to India? Maybe, but we think it may be a rebranded version of a Redmi phone, such as the Redmi 5A which retails for about Rs. 6,000 (in China). The phone is powered by a Snapdragon 425 processor, with a 3000mAh battery, 2GB of RAM, has a 5.0inch 720p display, 16GB of internal storage, and supports upt to 256GB via microSD. The phone has a 13 megapixels rear camera, and 5 megapixels selfie lens, and supports Dual NANO SIM cards, with 4G LTE + VoLTE. The device runs on MIUI based on Android 7.1 Nougat. The OS part is the one we are confused about. MIUI, which is Xiaomi's Android skin, is basically a coat of paint similar to the icons and colours in iOS, and the aesthetics are actually common among Android skins from other phone manufacturers in China. The only way we see this to qualify, in any way related to India, is if it features content based on our Country such as wallpapers, ringtones, and themes, keyboards and languages. That isn’t exactly special as any user can download such content on any device. The fact that the phones will be manufactured in India, as part of the Make In India program, also doesn’t make a technical difference, since most Xiaomi’s phones sold here are made locally. 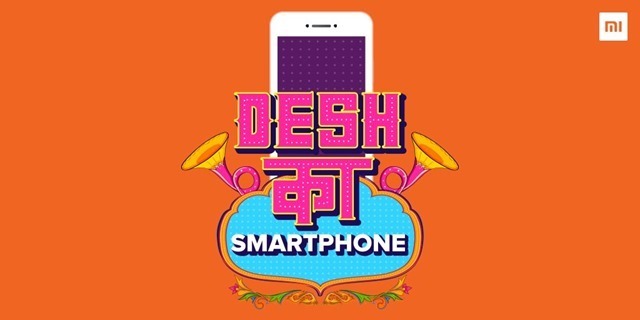 To be honest, we just think the Desh Ka Smartphone moniker is being used to create hype for Redmi 4A’s successor, as Xiaomi has recently been constantly marketing how it has become India's No.1 smartphone brand. The secret for this recipe is simple. Xiaomi has phones to fit literally every budget, and that is what makes the brand number 1. Though these devices have boosted the company's sales and profits, from a consumer's point of view, that's way too many for any company in a calendar year. It not only makes choosing a phone difficult, but also creates pressure on the company to update its devices, something which the company isn’t exactly winning prices for. We wish Xiaomi could instead focus on 1 phone for each budget (low range, mid range and high end) and instead focus on proper OS version updates instead of MIUI version upgrades. That is something we never expect to happen. 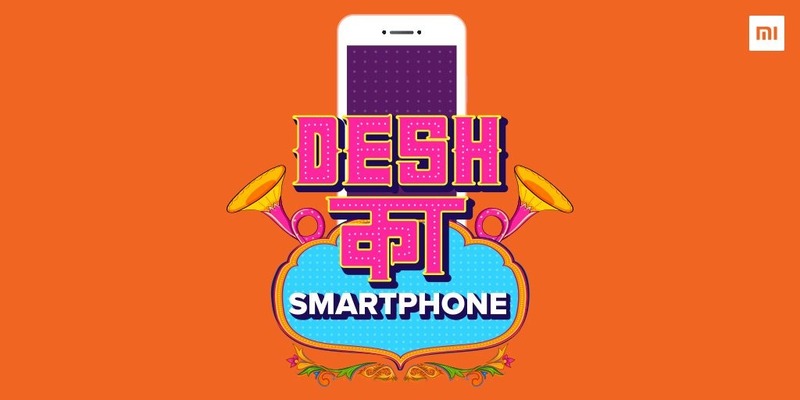 We will have to wait until November 30th, to see what the Desh Ka Smartphone will be.